Stereotactic radiation to brain metastases in patients with metastatic melanoma receiving nivolumab appeared to prolong brain metastases control and overall survival. 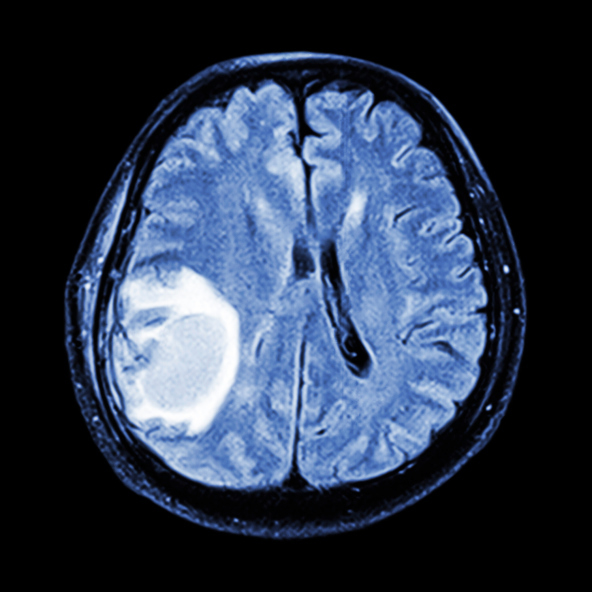 Investigators sought to determine the safety and outcomes in patients receiving anti PD-1 therapy and stereotactic radiation for the treatment of brain metastases. The study’s primary endpoint was neurotoxicity and secondary endpoints included brain metastases control and survival. Investigators analyzed retrospective data from 2 prospective nivolumab protocols that included 160 patients with advanced, resected, and unresectable melanoma. Those with brain metastases were included if they were diagnosed and treated with stereotactic radiation within 6 months of receiving nivolumab. Investigators identified 26 patients with 73 brain metastases treated over 30 sessions. A total of 33 (45%) lesions were treated with radiation prior to nivolumab administration, 5 (7%) were treated during, and 35 (48%) were treated after. All but 12 brain metastases were treated with stereotactic radiosurgery in a single session; the others received fractionated stereotactic radiation therapy. In regard to safety, one patient experienced grade 2 headaches following stereotactic radiosurgery and was treated with steroids. There were 8 (11%) local brain metastases failures with a ≥ 20% increase in volume. Of these, 4 hemorrhages were reported and edema was reported in 7. Kaplain-Meier estimates for local control of brain metastases was 91% for control following radiation at 6 months and 85% for local brain metastases control at 12 months. For patients with unresected disease, median overall survival from date of stereotactic radiation and nivolumab initiation was 11.8 and 12.0 months, respectively. Median overall survival was not reached in patients with resected disease. Ahmed KA, Stallworth DG, Kim Y, et al. Clinical outcomes of melanoma brain metastases treated with stereotactic radiation and anti-PD-1 therapy [published online ahead of print December 27, 2015]. Ann Oncol. doi: 10.1093/annonc/mdv622.